The connection between what you wear and what you drive is strengthening with help from Ford’s new wearables research laboratory, where scientists and engineers are working to better integrate wearable devices and vehicles to help keep drivers safer behind the wheel. “As more consumers begin to embrace smart watches, glasses and fitness bands, we hope to develop future applications that work with those devices to enhance in-car functionality and drivers’ personal safety,” said Gary Strumolo, global manager for vehicle design and infotronics, Ford Research and Advanced Engineering. Researchers at the new Automotive Wearables Experience laboratory housed in the Ford Research and Innovation Center in Dearborn, Mich., are examining the potential to link vital health information to in-vehicle technologies, including Lane Keep Assist and Blind Spot Information System. Lane Keep Assist, for instance, could become more sensitive if a smart watch sends data to the vehicle that infers the driver didn’t get enough sleep the previous night. Or, if a driver’s heart increases as traffic intensifies, the vehicle could increase the distance between vehicles for technology such as Adaptive Cruise Control or Blind Spot Information System. “Wearable technology integrated with the vehicle allows for more accurate biometric data to stream continuously and alert active safety systems to become more sensitive if the driver is showing signs of compromised health,” Strumulo said. 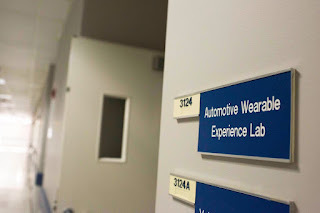 Wearable innovations are part of Ford Smart Mobility, the plan to take the company to the next level of connectivity, mobility, autonomous vehicles, the customer experience as well as data and analytics. The ability to measure wakefulness and health data including blood pressure, blood glucose and heart rate via wearable technology also could benefit fully autonomous vehicles. The Ford wearables lab is examining ways to signal a person riding in an autonomous vehicle and alert them that they might need to retake driving control from the vehicle. Signals could vary from wrist vibrations to chimes or even flashing lights on the dash when the driver would need to actively drive in road construction or an accident, for example. The Ford wearables lab research is testing voice control for the smartwatch version of the MyFord Mobile app, which allows Ford drivers to remotely start, lock, unlock and locate where their vehicle is parked via a smartphone and watch app. The lab is integrating voice commands to the app to allow for smart watch owners to use these features without touching their phone or watch. Another customer-focused experiment the lab is working on involves augmented reality optics, or smartglasses, and the dealership experience. 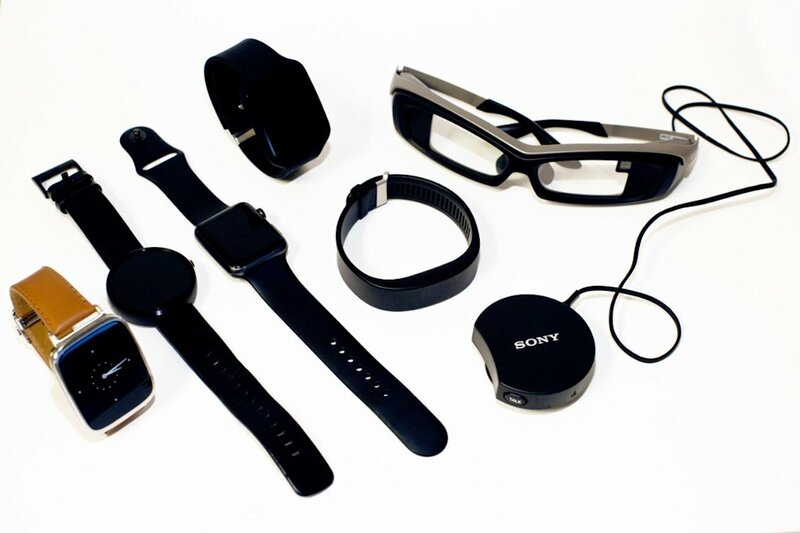 Customers would wear smartglasses as they guide themselves through a dealership, seeing additional information about vehicles they are interested in. Tags on showroom vehicles could offer a wide range of features from technical specifications to a virtual test drive.